Directional antenna for mobile (portable, contest) and base station use. 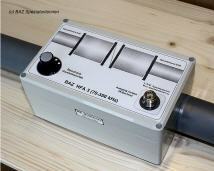 BAZ fabricates Hybrid Double Quad directional antennas for the 2m range. All boom beams and items are surface-hardanodized. Material for booms are 20x20 mm, for elementes diameter 10 mm.